Traveling to Ladakh by Road is perhaps one of the most thrilling road adventures in India or for that matter anywhere in the world. Traveling Ladakh by road involves crossing some of the highest motorable mountain passes in the world, driving through vast semi-arid planes and glimpses of pristine lifestyle of nomads who live in small settlements all along the way. Ladakh by road offers spectacular sights of barren mountains in Greater Himalaya and Zanskar range, sweeping valleys and stunning panoramas. Colorful Tibetan prayer flags, prayer bells, monasteries and Tibetan Buddist populace that one meets along the way are some unique aspect of traveling to Ladakh region by road. There are two roads that bikers, road trippers and drivers take to reach Leh town. One is Srinagar-Leh Highway and the more popular one is Leh-Manali Highway. 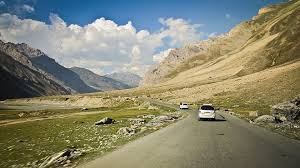 When it comes to road trip the first thing that strikes your mind are the most celebrated Manali to Leh trip. Riding through the criss coss terrain on your beast is something which will be captured in your heart forever. This time while you are on your road trip, get a chance to explore the incandescent beauty of the region. With the snow-capped mountains, distant valleys and the cool mountain breeze make it all more exciting. As you continue your ride through the rugged terrain you will come across some of the most well-known passes. Marvel at the sight of the amazing beauty of this region while you hit the roads on this amazing road trip. Out of the two highways which lead to Leh- Ladakh, one is Manali- Leh Highway, the perfect road for adventure enthusiasts, the other one being Srinagar - Leh Highway. This highway is 464 km long, out of which 350 km, does not have any civilization. For 365 km on this highway, there is no fuel pump as well. Thus, traveling on this highway needs proper amount of planning. 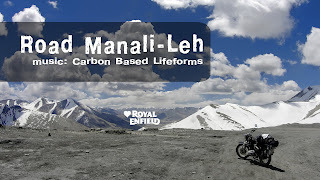 It is anytime better that that you should try Leh to Manali instead of Manali to Leh. The main reason for this is, you are already comfortable to such high altitudes, moving downwards will not be much of a problem. You can halt at Sarchu, which is at an equal distance from both the destinations. It is a beautiful place and has numerous accommodation options too. If you do the other way round, day 1 will be Manali – Keylong and day 2 will be Keylong to Leh. Since Sarchu is placed on high altitude, it is not advisable to have a nigh halt here.